Aquadynamic 1/2 inch x 3/4 inch Copper Pressure 90 Elbows are used to add a quarter bend to water supply piping. Aqua-Dynamic 90 Degree Elbow for Dishwasher 3/4 Inch Hose x 3/8 Inch O.D. Comp. The Aqua-Dynamic 3/4 inch hose x 3/8 inch O.D. compression 90 elbow for dishwasher is constructed from stainless steel. 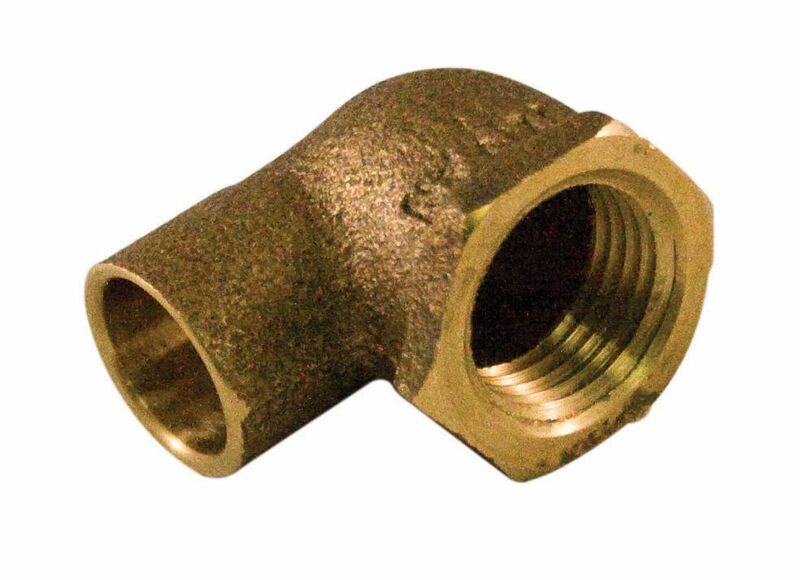 90 Degree Elbow 1/2 x 3/4 Inch Copper To Female Cast Brass Lead Free Aquadynamic 1/2 inch x 3/4 inch Copper Pressure 90 Elbows are used to add a quarter bend to water supply piping.